Minimally invasive non-surgical procedures and treatments are more popular than ever, with improved technology and increased social media pressures, cosmetic procedures are in high demand. While those in the market for cosmetic enhancement might want to tighten, tone and firm certain parts of their bodies, not everyone is ready to commit to permanently altering their appearance. Others don't have the time or money to invest, and then recuperate from aggressive surgery. While many are afraid of the prospect altogether. These days, the majority of informed patients are opting for non-surgical treatments that can help dramatically improve their appearance. There are several options for people who don’t want surgery, says New York City and Long Island based Nurse Practitioner Michael DeRosa. “While they won’t give the same long term results as surgery, they can make you look and feel better instantly, and without the lifetime commitments." DeRosa continues, "Electing to take smaller, proactive steps instead of jumping into surgery is a good way to maintain your appearance and allow you to tweak your needs over time." We provide concierge services to med-spas throughout Long Island, New York City, and Florida where we perform our exceptional anti-aging services. Our flagship location is in Smithtown, in the heart of Long Island, however we may be available more locally by visiting one of our many satellite offices and affiliates. Please inquire for more details. 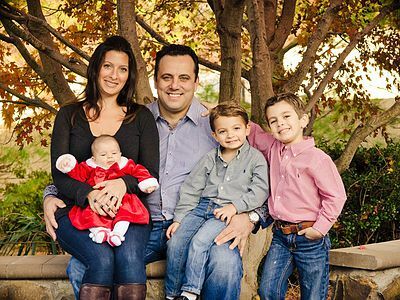 Michael DeRosa is a Board Certified Nurse Practitioner and the Founder of Rejuvenation Solutions. He received his training among his drive and standards of excellence from NYU Medical Center. He was born and raised here on Long Island where he still resides and thus understands the wants and needs of his local community. Mr. DeRosa is trusted by his fellow medical professionals and patients and has been on the cutting edge of the Anti-aging community for over a decade. Michael DeRosa is the Pioneer of the "Liquid Face Lift" and meticulously sculpts his patient’s appearance so that they feel and look 10 years younger. I believe that in order to achieve a beautiful result, a natural approach is best. There are a few key principles that I adhere to in order to maintain this goal. Maintaining shape is paramount. If the shape of one’s face is altered, the result will look either artificial or overdone which will result in not feeling like you look like yourself. Size is another crucial principle. If too much is done, we will lose that natural result. Making slow and gradual enhancements will ensure a beautiful result. Michael is a graduate of Molloy College with a BSN in 1998. He is a graduate of Hunter College with a MSN in Adult Health in 2003 with national board certification from the American Nurses Credentialing Center (ANCC). He began his career practicing at NYU Medical Center as an RN in 1999 while studying and receiving his MSN at Hunter College on a full academic scholarship. Michael has worked extensively in all areas of surgery with great focus on Plastic Surgery and Cosmetic Plastic Surgery. Through out the years he has been certified and trained in many other areas of expertise. Michael has built his business on trust and expertise, which is why he should be your number one choice to help navigate your clients through the anti aging process. Contact Rejuvenation Solutions today and let us show you the future.